New Japan Pro Wrestling recently posted a new episode of The Wire on its Youtube channel. This time the show featured the new IWGP Intercontinental champion, Tetsuya Naito. The leader of Los Ingobernables de Japan defeated Chris Jericho to win the title for the third time and that win came on New Japan’s biggest stage of the year, Wrestle Kingdom 13. Naito and Jericho tore the house down in what must be considered an early Match of The Year candidate. 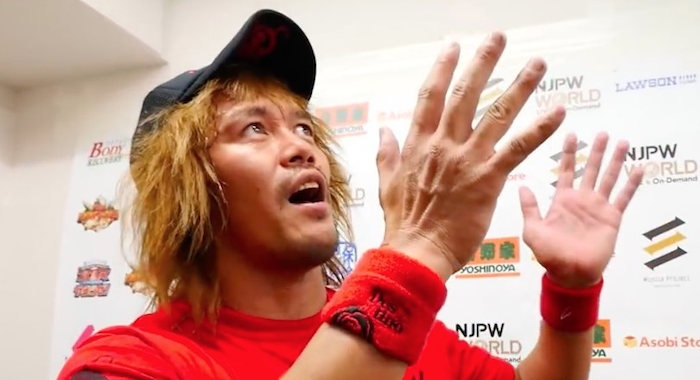 But Naito had no time to rest on his victory, as he was destroyed the next night at New Year Dash. Suzuki-Gun brought the fight to LIJ and in the end, it was Taichi that stood over Tetsuya Naito. Now the two men will clash at The New Beginning in Sapporo on February 3 and the IWGP Intercontinental Championship will be on the line. As for Naito and Jericho, it looks as though their business has indeed concluded. Jericho is now headed to All Elite Wrestling, where he is expected to become a headline attraction. Jericho also plans to keep working dates with NJPW, but it’s unknown when he will return to the company.